This little thing will charge your phone in less than 12 parsecs, for sure. 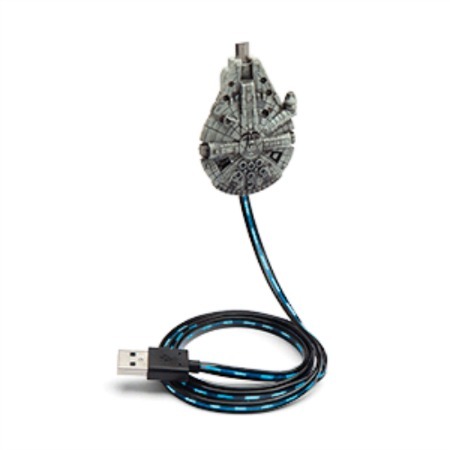 And the other fabulous thing about this Millennium Falcon USB Phone Charger is that the cord goes blinkity-blink JUST like the Falcon does while it’s charging your phone! How great is that? Check out our other Favorite Star Wars Fun Finds in our Gift Guide!